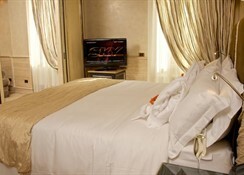 From Leonardo da Vinci airport (Fiumicino): the airport is about 25 km from the hotel. The taxi journey takes around 45 minutes- while by train from the airport to Termini station the journey time is some 35 minutes. It is also possible to order a collection service at the hotel reception. From the motorway: the motorway lies about 4 km from the hotel. Take the exit Rome-North and follow the signposts towards Via Salaria city centre- then travel in the direction of Via Veneto. 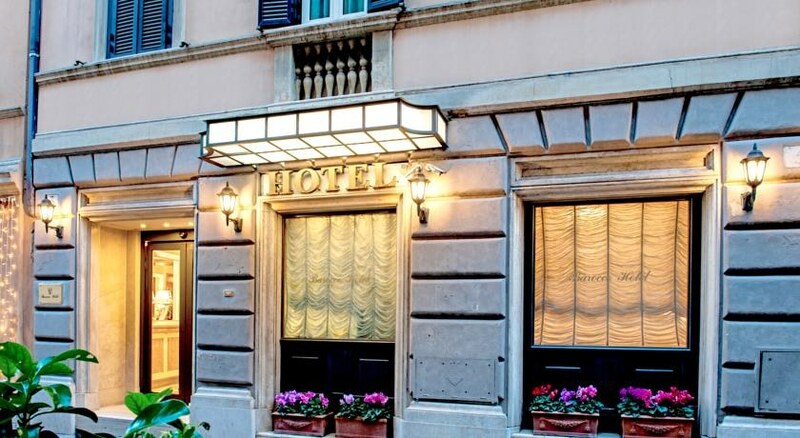 At the end of the Via Veneto- turn right to the Piazza Barberini- and the hotel is at number 9. 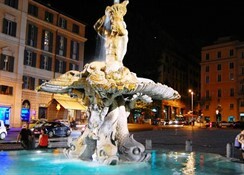 From Termini railway station: the station lies about 1 km from the hotel. A taxi takes around 5 minutes- while on foot guests will reach the hotel in about 15 minutes. Take the Via Bissolati from the station and follow the direction Piazza della Repubblica- then turn left into the Via San Basilio. 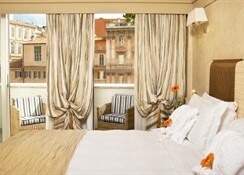 At the end of this street- guests will reach the Piazza Barberini- and the hotel is at number 9. This hotel discretely and harmoniously lies within the context of surrounding palaces and comprises a total of 37 rooms with various shapes and sizes- five of which are suites- spread over 6 floors. The entrance on traffic-free Via della Purificazione leads to an elegant lobby- which features a seating area with international newspapers and a 24-hour reception with a safe- a currency exchange- a cloakroom- and a lift. 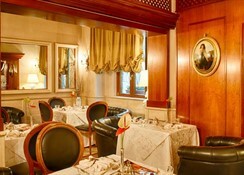 Further facilities in the air-conditioned building include a café- a TV room and a restaurant. 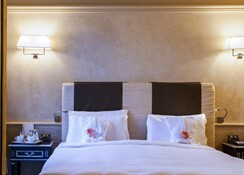 In addition- room and laundry services as well as bicycle rental. 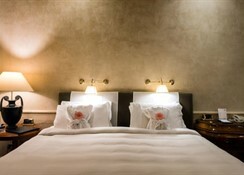 Guests are treated to little surprises- such as the little bunches of scented flowers and fresh bathrobes in the guestrooms or the fruit and flower arrangements found at the hotel entrance.The elegant rooms all include an en suite bathroom with a hairdryer- a direct dial telephone- satellite/ cable TV- a radio- Internet access- a minibar- a double bed- a hire safe- and centrally regulated heating and air conditioning. From the balcony or the terrace- guests are offered a wonderful view of the Piazza Barberini- the picturesque roofs- the aristocratic buildings and the flower-filled windowsills.